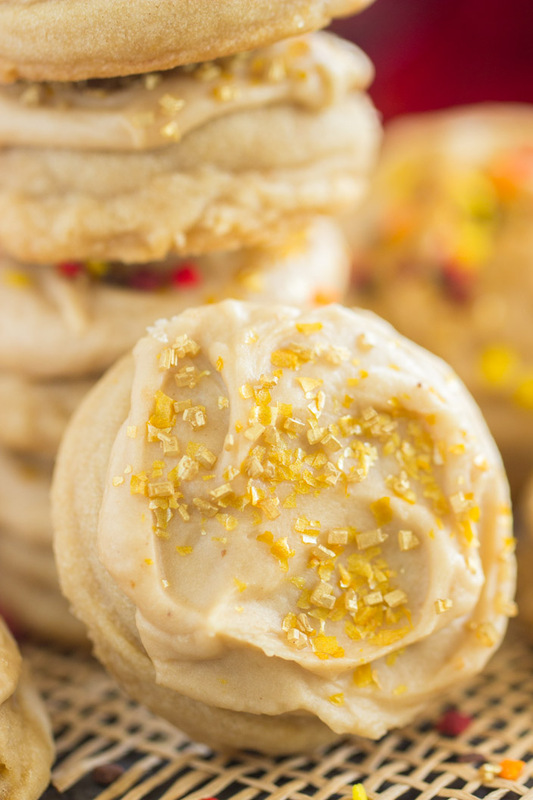 These Iced Maple Amish Sugar Cookies are so puffy, pillowy, and soft, they literally melt in your mouth! 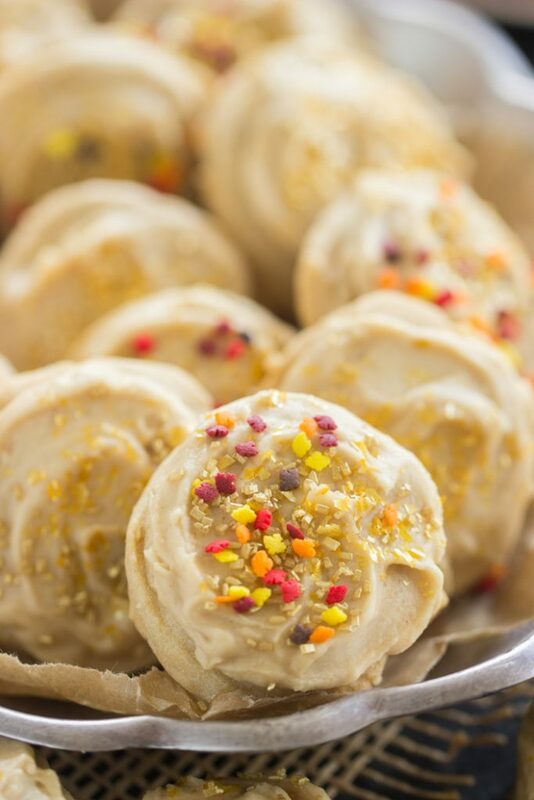 Who doesn’t love a perfect and potent maple sugar cookie with a thick slathering of maple icing? 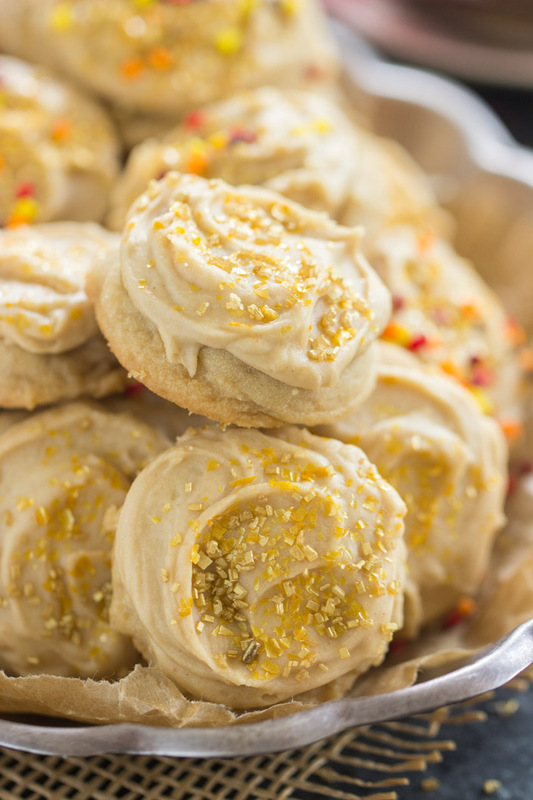 These Iced Maple Amish Sugar Cookies could not be easier, and are made with common pantry ingredients! 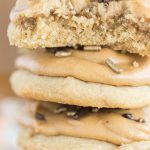 Two falls ago, I tested out several recipes for perfect maple cookies, and I wasn’t happy with them. Trader Joe’s and Wegman’s both carry maple cookies that are shaped like leaves and verrrrry maple-y. I’ve wanted to make a copycat version of those, but I didn’t love the ones I tried, and it was a major hassle to make them as cut-outs. I have no shortage of leaf cookie cutters, in fact, you can find these gorgeous Fall Leaves Sugar Cookie Cut-outs from a few years ago. But making cut-out cookies is not awesome. They’re a lot of work. 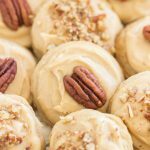 Given that Amish Sugar Cookies are SO good and SO versatile, I thought I’d just make a maple version, these Iced Maple Amish Sugar Cookies. 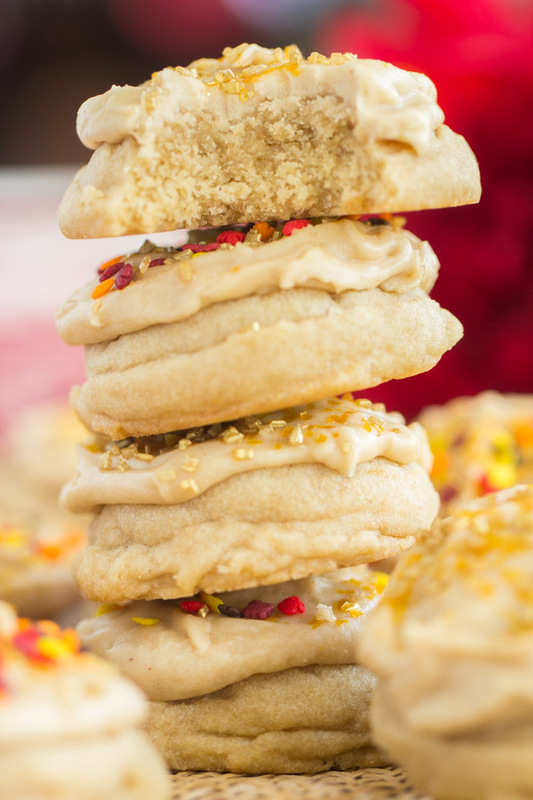 These are just missing the maple leaf-shaped part, but otherwise, they’re the perfect soft maple cookie. 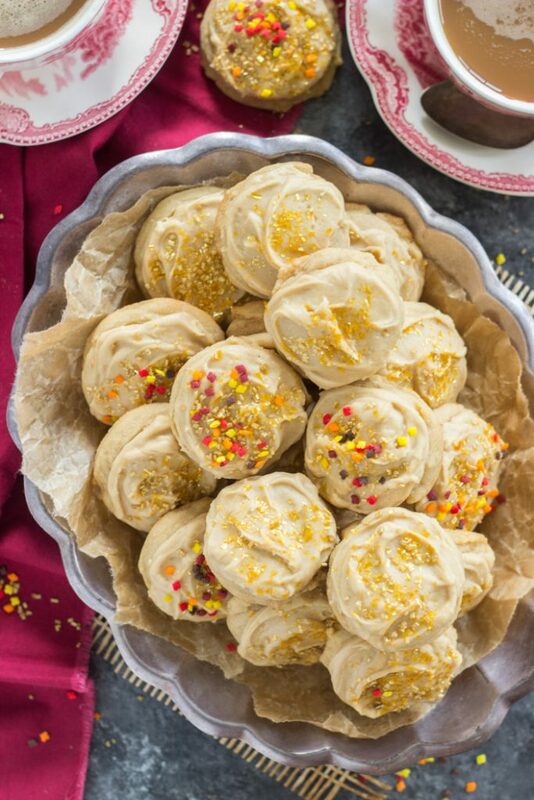 If you have a cookie recipe that you love, just adapt it. Now I can put the perfect maple cookie search to rest. 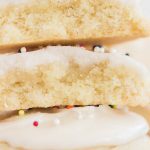 These Iced Maple Amish Sugar Cookies retain the best features of traditional Amish Sugar Cookies: they’re a lot like a cut-out cookie, but they’re a drop cookie, so they’re a fraction of the work. No chilling, no rolling & cutting. They’re very soft, puffy, and pillowy. 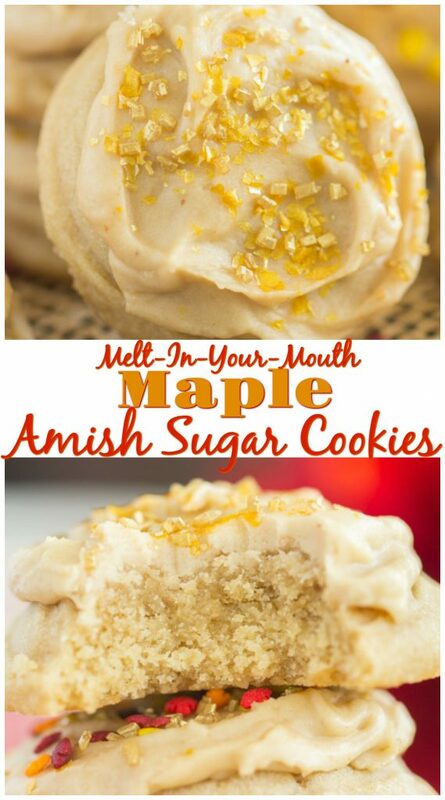 The texture of Amish Sugar Cookies is unmatched, and that stays front and center in these Iced Maple Amish Sugar Cookies too. They’re buttery and sweet, kinda flaky, and very soft and puffy. They literally melt in your mouth. They’re universally adored, in my experience! 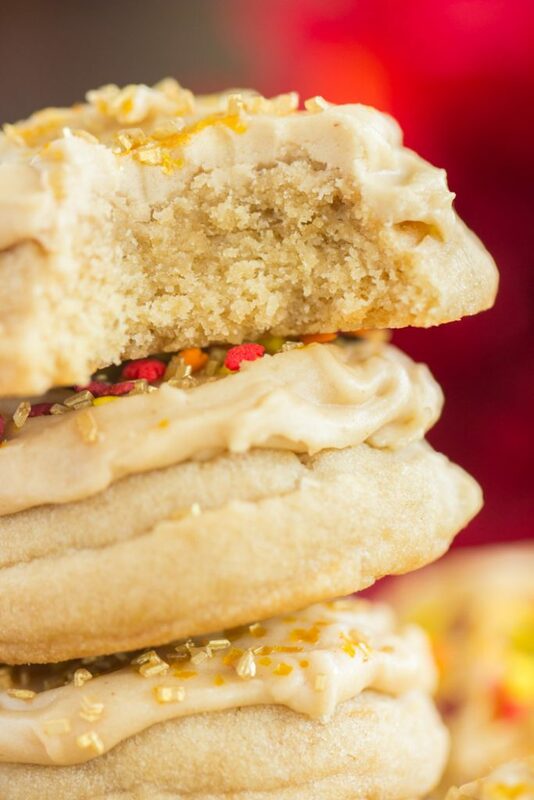 These Iced Maple Amish Sugar Cookies are maple-ified, big time. Lots of maple from the cookie to the icing. Could you add nuts on top? Yes, and I thought about it: a maple nut cookie. However, I really wanted to keep these Iced Maple Amish Sugar Cookies as a simple, perfect maple cookie, straight-forward and uncomplicated. So there you have it! Yeah, it’s a lot. But Amish Sugar Cookies are amazing, so there’s just no overdoing them! 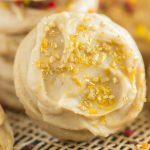 These Iced Maple Amish Sugar Cookies are so puffy, pillowy, and soft, they literally melt in your mouth! 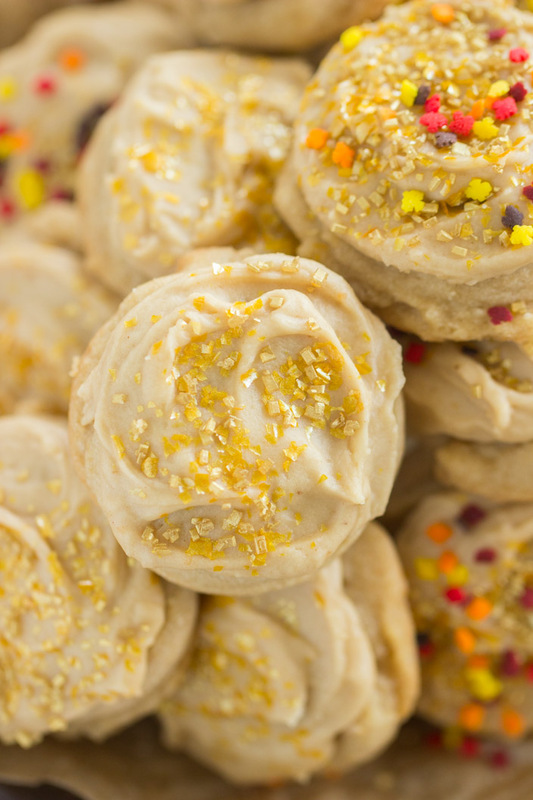 Who doesn't love a perfect and potent maple sugar cookie with a thick slathering of maple icing? 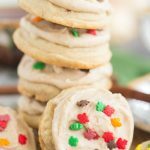 These Iced Maple Amish Sugar Cookies could not be easier, and are made with common pantry ingredients! Beat in eggs, vanilla, and maple extract. In a medium bowl, whisk together butter, maple syrup, vanilla, maple extract, and 3 cups powdered sugar. 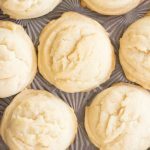 Add additional powdered sugar, as needed, to achieve a consistency that is thicker than a glaze - it shouldn't run off the cookie - but easily spreadable. Frost cookies, and allow to set. I've made these Amish Sugar Cookies into Pumpkin Spice Latte Amish Sugar Cookies, Iced Chai-Spiced Amish Sugar Cookies, Iced Almond Cookies, Iced Lemon Amish Sugar Cookies, Iced Orange Amish Sugar Cookies, Toasted Coconut Amish Sugar Cookies, Coconut Oil Amish Sugar Cookies, and Thin Crispy Amish Sugar Cookies! Maple icing adapted from Taste of Home. SO delicious! And I love how the ingredients are common and simple. Cut back just a smidge on the maple extract in both the cookie and icing and still plenty of maple taste…. I do like things strongly flavored – I’m so glad you adjusted the maple to your preference. 🙂 Thanks so much for your comment! I’m thrilled that you liked them. 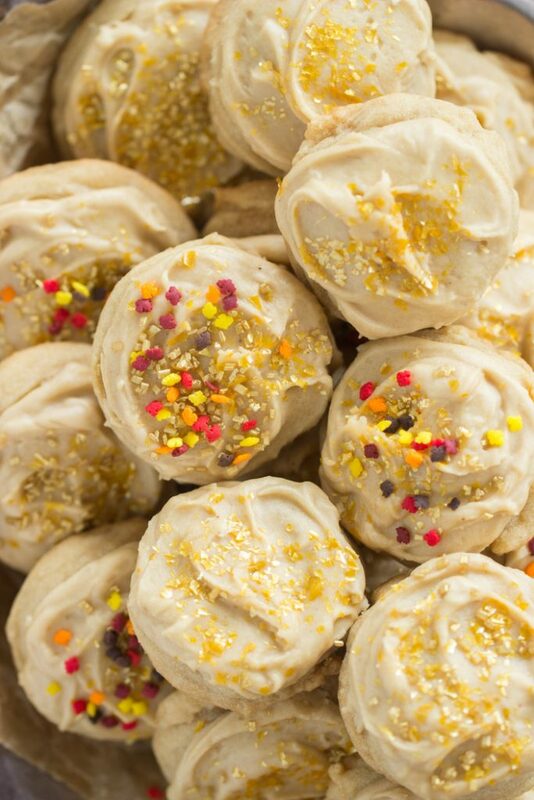 Amish Sugar Cookies have become such a staple for me!! Can you substitute maple syrup for the maple extract? Not equivalently! You could sub a few tablespoons of maple syrup, and it should have minimal impact to texture. Maple extract is much more potent though, so it’s helpful if you have it on hand. 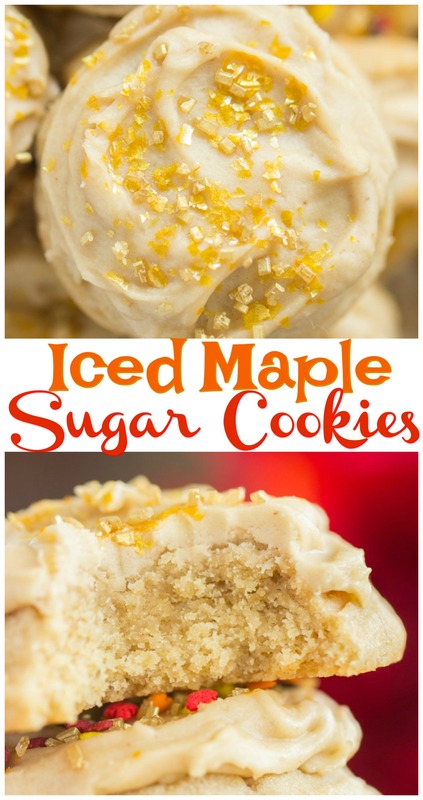 The glaze is where the maple of these cookies really comes out, so I would check to see if there’s a maple icing out there that uses only maple syrup – that might be the best bet! I hope that helps!